Today the Internet is buzzing about the Exploding Actresses Tumblr, and rightfully so. Simone Rovellini, the site's creator, has taken clips from various films and tweaked them so that the main characters' heads explode (here's Bogart blowing up Ingrid Bergman). The Tumblr is worth a visit in its own right, but Rovellini's YouTube videos are destined to become classics, taking the premise of the clips and playing out entire scenes with decapitated starlets. Rovellini started off with Classic Films and Love Movies, but her takedown of Disney Princesses is the best of the lot. 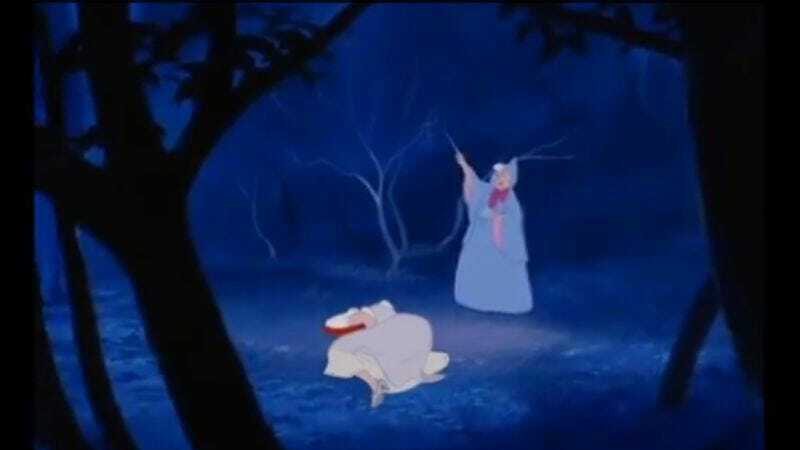 Watch gleefully as Snow White, Ariel, and Cinderella all come to some pretty nasty ends.